The prices along the Bulgarian black sea coastline lowered with at least 30 % since the beginning of September. 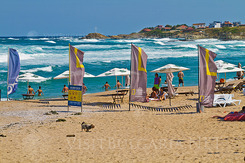 The weather is still suitable for sun baths by the sea and tourists continue to flock along the beaches in Bulgaria. Following the tradition in the end of the summer hoteliers announce great discounts with up to 50 % from the regular rates. Meteorologists forecast hot and sunny weather until the end of September and this is a good chance for every one to extend their summer holiday. 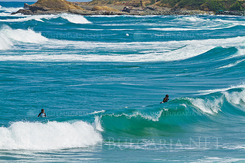 VisitBulgaria.NET has prepared lots of last minute summer discounts for everyone who wish to enjoy the last summer sunbeams along the Black sea.